Growing up in Bend, where his parents, Cliff and Louise Blann, managed Mt. Bachelor Ski Area, Dave and his siblings learned to love the outdoors at an early age. Dave worked in construction as well as in the ski industry for 20 years. Working for his father gave him a leg up as a ski patroller and groomer in Aspen. Later he worked trail construction, managed Arizona Snow Bowl in Flagstaff, and erected ski lifts for the major manufacturers across the country. In 1995, Dave discovered his true passion and purpose when he began his law enforcement career as a reserve with the Jefferson County Sheriff's office. 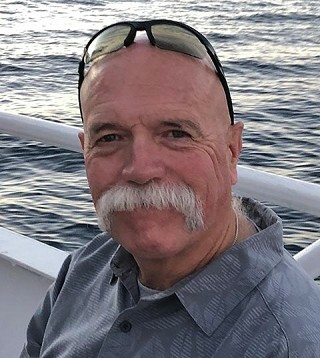 He was hired full-time in 1997 as a resident deputy providing law enforcement to the small community of Camp Sherman as well as coordinating the Jefferson County Search and Rescue Hasty Team. Dave lived to serve people, whether it was protecting his community or doing search and rescue. He was adamant about treating people in the community and his search and rescue volunteers with respect and dignity. It's been said that he was the heart and soul of Camp Sherman. As a result of growing up in the ski industry, Dave has always been an outdoors guy: skiing, snowshoeing, backpacking, camping, kayaking, or his most recent passion: fat-tire biking. Dave and his wife, Bethanne, were adamant about living in the moment and living large whether on an adventure or simply planning their next journey. They made the most of their precious moments together. His daughter, Kelcy, brought Dave tremendous joy. She and her husband, Matt, and their two children, Harley and Maren, currently live in San Diego. He was the best long-distance "Paw Paw" to his grandchildren. Dave will be greatly missed by so many people, especially his wife, best friend, and soulmate, Bethanne; his daughter, Kelcy, and her family: Matt, Harley and Maren; his siblings Sherry (Rich) Morris, Jerry (Rebecca) Blann, Casey (Molly) Blann; as well as numerous nieces and nephews who knew Dave as the uncle who would make them laugh; his search and rescue family; and the community of Camp Sherman. A Celebration of Life for Dave is planned for Thursday, February 28, at 1 p.m. at the Westside Church in Bend. All are welcome to attend. I am very sorry for your loss. May your family find comfort in God's promise of paradise where there will be no more pain, sickness, or sorrow due to the loss of a loved one. Please accept my sincere condolences. JW.org Revelation 21:3,4, Acts 24:15, Psalms 37:4,11,29. This comment has been hidden due to low approval.